Barbiturate Overdose - Symptoms, Treatment, Prevention, What is? Barbiturates reached its popularity as a medication during the 1960’s and 1970’s. It was also during this time when people started using barbiturates as a recreational drug [1, 2]. 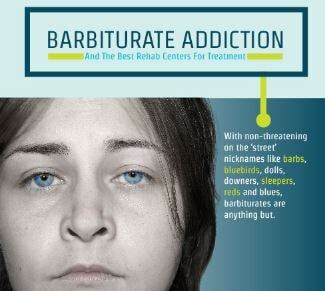 Barbiturates are medications that are formulated from barbituric acid. These drugs enhance the effect of the neurotransmitter gamma-aminobutyric acid (GABA) on its receptors and results in the suppression of the central nervous system activity. Due to its effect on the brain, these medications are prescribed as treatment for epilepsy and insomnia. Its use for the treatment of anxiety is being limited due to the habit-forming nature of these drugs. Examples of drugs under this classification are amobarbital, phenobarbital and pentobarbital. Barbiturates are further classified depending on the duration of their action. They can be either ultra-short-, short-, intermediate- and long-acting barbiturates. Side effects associated with the intake of barbiturates may include mental depression, hallucinations, tightening in the chest, loss of appetite and unusual tiredness [1, 2, 3, 4, 5]. How much is Barbiturate Overdose? The toxic dose of a barbiturate depends on the type of medication but generally short-acting barbiturates such as amobarbital and pentobarbital than other types of barbiturates. An individual who have a plasma level of 10mg/L of short-acting types may experience symptoms of overdose. The toxic level for phenobarbital is much higher at 60mg/L. If a person takes about 2-3g of amobarbital and pentobarbital or 6-10g of phenobarbital, it may in comatose or death. Those who have been taking barbiturate for a long period of time may develop a resistance and tolerate higher levels of this medication. At the same time, those who take this drug along with alcohol or other medication may experience overdose symptoms at a lower drug level . What are Barbiturate Overdose symptoms? Ingesting a toxic amount of barbiturates may lead to the manifestation of the following symptoms: alteration in the level of consciousness, slurring of speech, sluggish movements, staggering gait, shallowness of breathing and lack of coordination of movement. Those who have been abusing this drug for a long time may show decreased cognitive functioning, loss in memory and may appear irritable [1, 3, 4]. What is Barbiturate Overdose management? If an individual is suspected of overdosing on barbiturates, emergency services must be contacted immediately or they should be brought into the hospital right away. In this period, the priority is maintaining the breathing of the patient. Lifting the chin of an unconscious individual may help establish a patent airway and ensure the respiration of the patient. When the patient reaches the hospital, an emergency endotracheal intubation may be performed to maintain the ventilation. They may be given a supplemental oxygen or be connected to a breathing machine depending on the need of the patient. Intravenous access will also be started to be able to administer fluids and medications. After the patient has been stabilized, measures to decrease the amount of barbiturate in the body will be performed next. The patient may be given a dose of activated charcoal in order to reduce the amount of toxin in the gastrointestinal system. Urinary excretion of barbiturate is promoted by increasing the alkalinity of the urine. This can be achieved by a bolus and continuous infusion of sodium bicarbonate. The level of barbiturate in the body is continuously monitored until it returns to normal level. Other symptoms that have developed will be managed through supportive measures and other medications . How to prevent Barbiturate Overdose? The main way to prevent an overdose in barbiturate is to take the medications according to the order of the physician. These drugs are for personal consumption only and it should not be shared or given to other people especially those who have a history of substance abuse. People who are known to be dependent or abuse barbiturates should be referred to the physician right away in order to receive medical attention and prevent them from overdosing on barbiturates [5, 6, 7]. An overdose in barbiturate can be dangerous. If you have any more information about this, you can post it in the comment section below. ← How Many Pills Does It Take to Overdose?